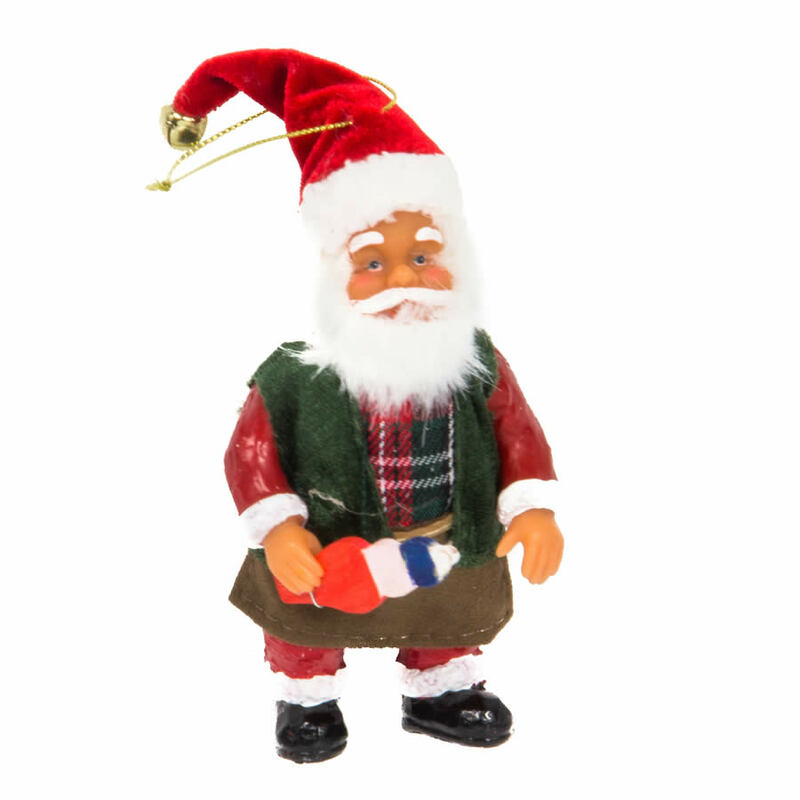 Tie this Standing Santa with Soldier on a wrapped package, a wreath, or a swag, and it suddenly elevates to become a useful, versatile accent that will be enjoyed for years to come. This tiny elf measures around 9cm in height, and he makes a dapper chap for your home during the Christmas season. He holds a toy soldier in his tiny hands, that he is perhaps working on for his notorious trip on Christmas eve. He wears his traditional red suit, with a plaid undershirt and bright green scarf. He wears a brown work-apron, another indication that has a lot of work to do to get ready for his big trip around the world. 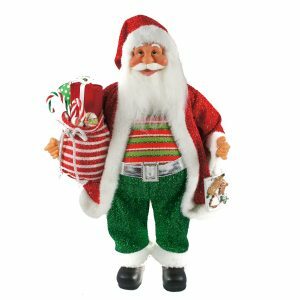 The fluffy white beard and soft flocked clothing of this kindly gent will make him a popular accent item when you hang him on your tree or near a holiday display in the home. This would be an excellent trinket to tie to a wrapped gift to give the recipient a sweet elf to use in their own home displays and traditions in coming years.